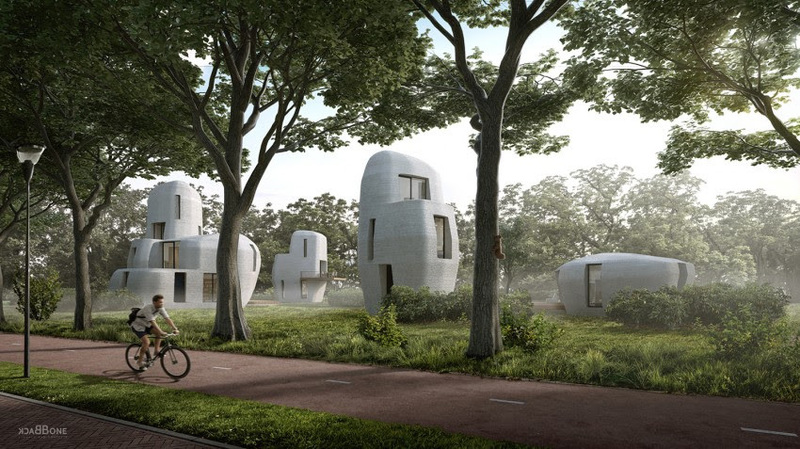 A series of elaborately curved houses designed for Eindhoven will rest like large boulders in the Dutch landscape, illustrating the complex forms made possible by new and evolving 3D-printing technologies. 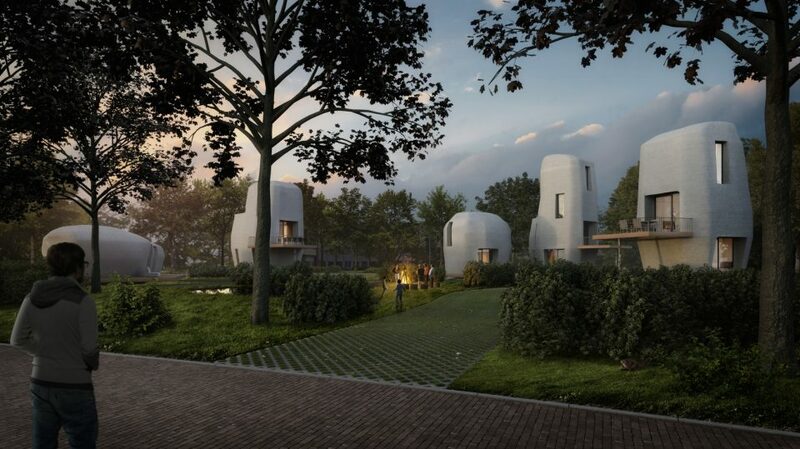 The first single-story house will be around 1,000 square feet and allow for process refinements for the multi-story units to follow – research and innovation are part of the mandate of the Eindhoven University of Technology and other project partners. 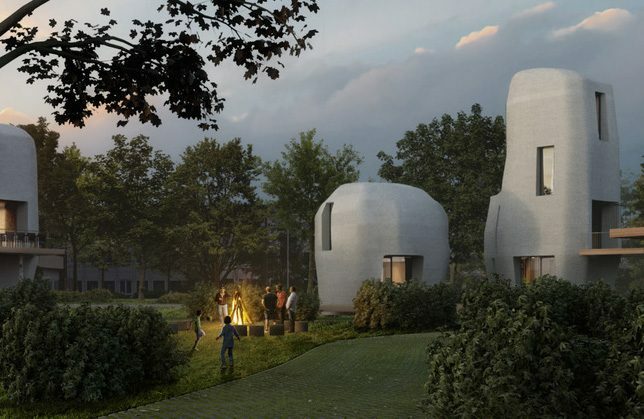 The goal, in part, is to optimize for quality, comfort and cost, with each phase building on the previous iteration, a marriage of experimentation and architectural creation. Construction will begin this year and the first unit should be occupiable sometime next year. While the ideas are bigger than creating a single small neighborhood of homes, having them be functional in the end is also a key aim of the project.